The blend of the ancient and the contemporary, along with the central themes expressed in the story, make Norman Jewison's cinematic adaptation of "Jesus Christ Superstar" a timeless piece of cinema. The dancing is dynamic and, by design, slightly unpolished, much like it was in "Hair" (Milos Forman, 1979), thus affording the song-and-dance numbers something of an organic quality. It's unlikely that these two films shall be remade, as they were so much of a certain period, but there is nonetheless that timeless element to both films. 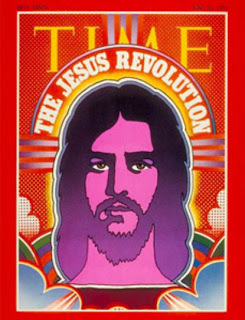 It seems as if the early 1970s was the perfect moment for a rock opera about the last days of Jesus Christ--the spiritual movements within the prevailing hippy (counter) culture, the manner in which youth adorned themselves, and for some reason, the contemporary score works perfectly for a story set in Biblical times. I've witnessed this performed on stage, and called me biased, but having a short-haired Jesus just isn't right. It's stll a great stage show, but I do prefer the screen version. Especially brilliant is the song performed by Simon Zealotes (Larry Marshall), and how Norman Jewison employs simple techniques such as slow-motion and freeze frame to enhance the number--and I love how the dancers simply materialise from thin-air at the beginning of the piece. Of course, Ted Neeley is wonderful as Jesus Christ, and who doesn't feel sympathy for Judas Iscariot, as portrayed by Carl Anderson? To me, Carl makes the biggest impression in the film, and the closing song is, quite appropriately, the best part of the entire movie, and a perfect example of Norman Jewison's formidable cinematic vision. I can't help but think that if this were remade by Hollywood these days, the production would be some big CGI mess! I of course agree that the milieu of post-60s Hippiedom better fits the fanciful "Jesus Christ Superstar" than contemporary updates that see Jesus with moussed hair and a leather jacket. The then-rebellious spirit of dress, long hair, dance style, and demeanor fit the outcast retelling of the Passion. Thanks for sharing your thoughtful and well-examined impressions of the film, Mark. It's nice to know that the film remains effective even to young people today (a big concern at the time was the film dating itself. Instead I think it establishes a time and place perfect for Jewison's vision). first time on your blog spot....Carl Anderson, a dear friend, portrayal was brilliant and this movie was truly a turning point in many lives including mine. Would love to hear your opinion of Godspell. So lovely to see you here! I had no idea that Anderson was a friend of yours. What a talent! He's so very good in this, but I never had the chance to see him perform the role live, as I did with Neely. Oh yes, I really do need to write about "Godspell." When I was growing up in the San Francisco Bay Area, the film's flower children, magic show look and feel (like "Pippin" was very intoxicating to me. Hope to hear from you again, Lynn. Thanks for commenting! I love how influential a brother Larry has been to you! I never saw "Godspell" on the big screen, but fell in love with it when it came on cable. I know all the songs and have quite a few favorite moments, but it's a little hard going for me now. I do hope to write about it someday soon, as so many people were exposed to it as children. Beautifully written Kenneth!! So eloquently and perfectly put; I resonated with every facet from the choreography to the emotive motions of Simon Z and Neeley at Gesthsemane. I found myself nodding and saying, 'Yes!' (which is a bit odd as I'm yelling at a computer screen) regarding Carl Anderson's vocal brilliance, which also gives me goosebumps to this day. The colours, the movements, the emotional spectrum, all of it so precisely what I have thought and yet found myself envying knowing I would not have been able to have quite so succinctly. Thank you for doing it for me, and so brilliantly. I am amazed that to this day this film has the potency to move me as much as it did when I saw it as a teenager. Thank you very much! Sounds as if we share a similar fondness for this film! I've never heard this film described as "realist" before... But you make a good case for it. While I wouldn't call Hair director Tom O'Horgan's Broadway approach as glam-rock exactly (you can see the Tony clip on youtube--his conceit was that it was the passion play re-enacted by a sorta insectoid culture that had taken over from human kind... seriously,) the approach works much better although Forman had precedent--the Broadway version was just a minor success running two years or so, so unlike later Lloyd Webber spectacles, when they opened it a year later in London they went a different approach that was very similar to Forman's--location filming aside of course--and in London it ran for 7 or 8 years. I was really glad to read your love for this film as it seems to get a lot of flack from younger musical theatre fans (by younger I just mean people like me born in 1980--or after the film came out.) The anachronisms confuse people as do the dated aspects and seem to put a lot of people off. Nice to hear from someone who appreciates this film, too. I need to see i ton the big screen again. The vistas and sound were amazing. Thanks so much for sharing your thoughts on your fondness for this film. And it does amuse me to think of the hippie bus pulling away at the end...lighter by two members of the troupe.. But Judas/Carl Anderson does, in fact, get on the bus.....he's the last one, hanging on to the door handle as the bus pulls away. I will never accept this version because Ian Gillan was not in the role of Jesus. I understand it was offered to him but he declined out of commitment to his band (which broke up shortly thereafter). I have found clips on youtube that dub Ian Gillan over Ted Neeley and I quite enjoyed them. I didn't know that about Ian Gillian. Certainly the first singing JC I'd heard, but not not my favorite. That's pretty funny about the YouTube clips. Thank you for writing this great review, from another Ken. I find that Ted Neely's performance is solid, but agree that Ian Gillan was a better singer. Also, I have a problem with his short stature. Also, Murray Head was an amazing Judas. But no-one could top Carl Anderson's screen presence. His singing is just as great, but completely different from Head's vocals. Film wise what is great about musicals back then is that they had the production budget to stage the musical numbers correctly, which takes a lot of time. I was curious what you think about film musicals today, going back to Moulin Rouge, Chicago and La La Land. I think that editing and cutting has replaced meticulous rehearsal, staging and choreography. Glad you enjoyed the piece. I agree that Ian Gillian has a great voice and does a wonderful job, just not my taste. Likewise Murray Head who is an impressive Judas I always enjoy listening to when I revisit the studio album. Sometimes I think the fact that the various styles are so different allows one to enjoy lots of different singers in the role without having to compare "best" - each brings something unique to their interpretation (I guess I'm just partial to the film folks - although yes, Neeley is kind a diminutive Jesus). I have to agree with you about musicals today. I'm neither as young or as impressionable as I was when I saw so many of the musicals that I love, but I do sense that in many of today's musicals there's a bit of production overkill (in the way of editing and CGI) to compensate for musical talent that seems to be lacking. Also, I'm not always so sure people know how to construct musicals anymore. They seem to one climax after another, no buildup. Thanks for asking my opinion on a subject I love, and especially for sharing your thoughts on JC Superstar. A lifetime favorite. You've got a terrific name, by the way! Ted Neely is the BEST Jesus EVER, and Carl Anderson has the best opening number! It's taken some time for me to really appreciate this movie, but it is something cool.